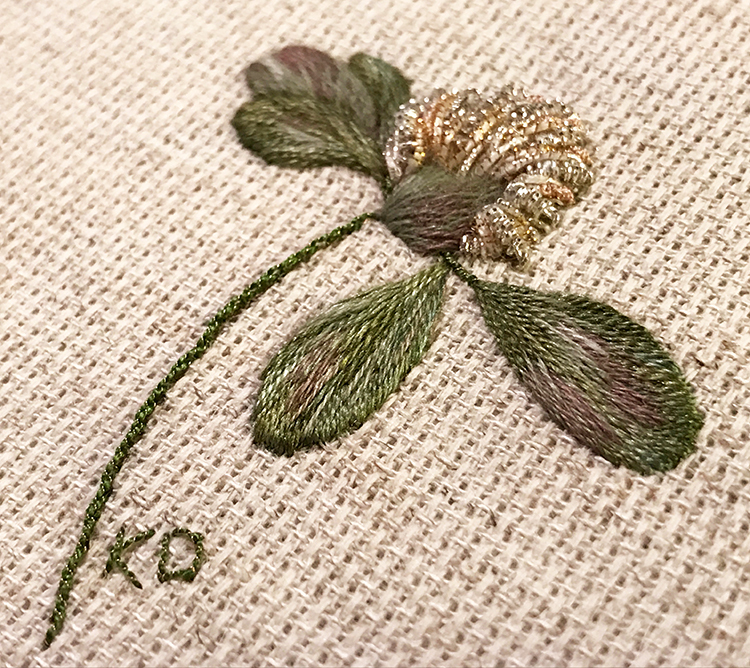 After a number of years doing goldwork embroidery, Katherine had amassed a large collection of metal “weeds”—threads and wires that had tarnished or been damaged and could not be used for formal, traditional goldwork embroidery. 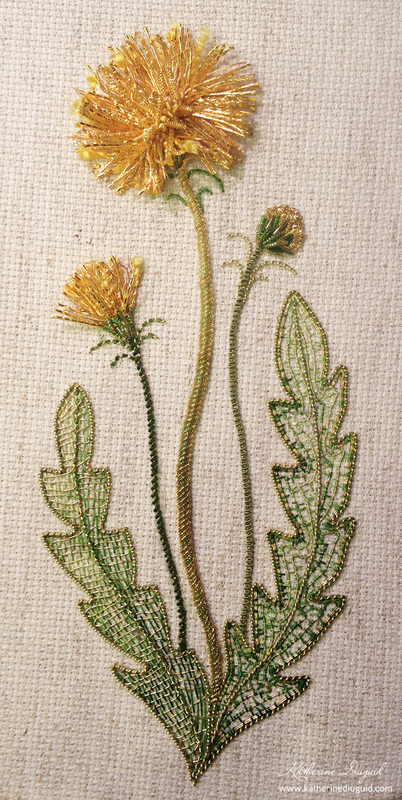 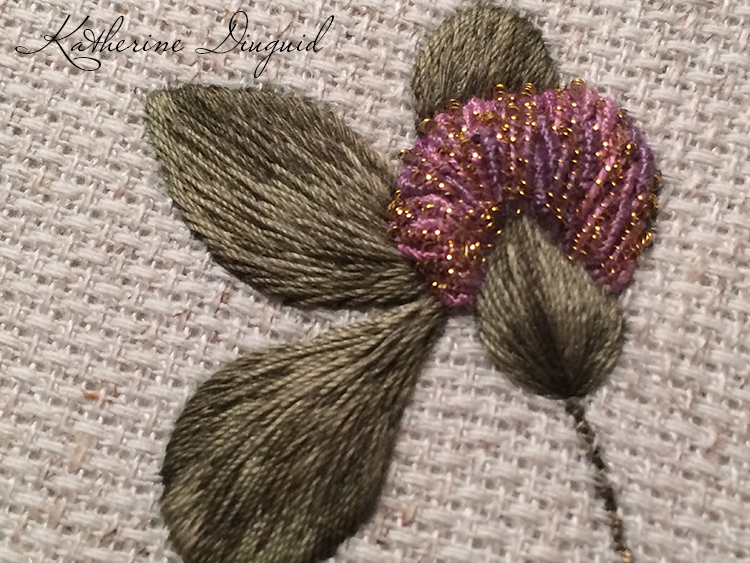 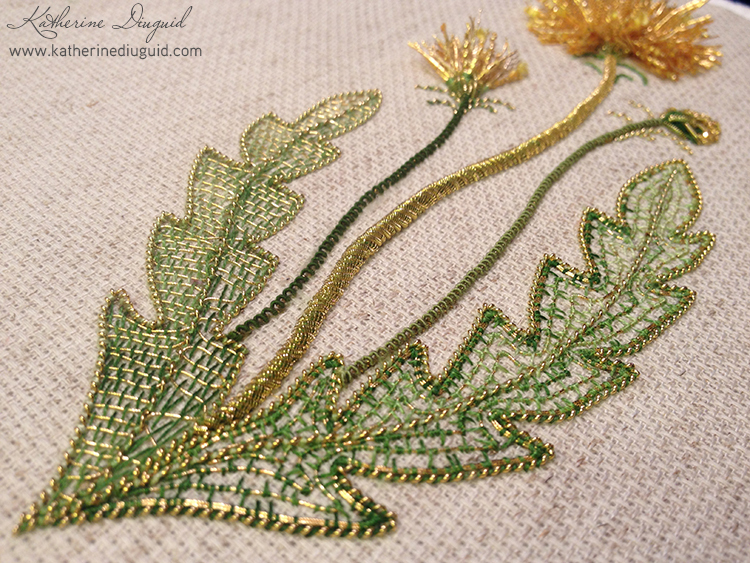 One day as she was working on a traditional goldwork piece, her growing pile of “weeds” suddenly reminded her of the dandelions that her son would pick her and lovingly give her. 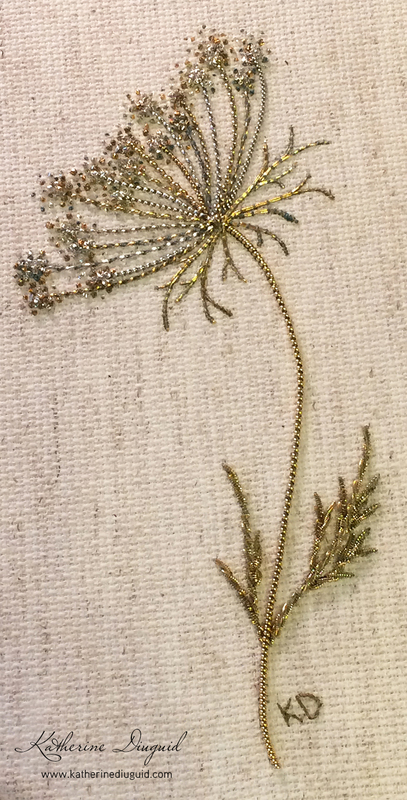 Katherine’s “Weeds Collection” explores the manipulation of traditional techniques and materials by utilizing her gilt cast offs to create delicate floral slips reminiscent of the beautiful botanical illustrations from the Victorian era. 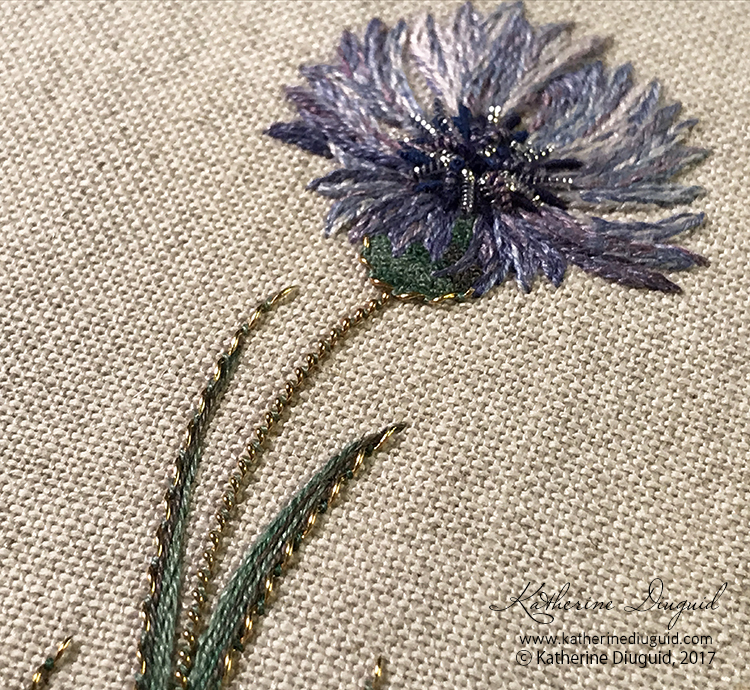 Each composition captures the beauty of weeds and invasive wildflowers native to North Carolina that Katherine has photographed and sketched near her house and her parents farm in Iredell and Caldwell counties.